Dozens of Greek radical nationalists chant "Albanians get out" inside southern Albania's territory. 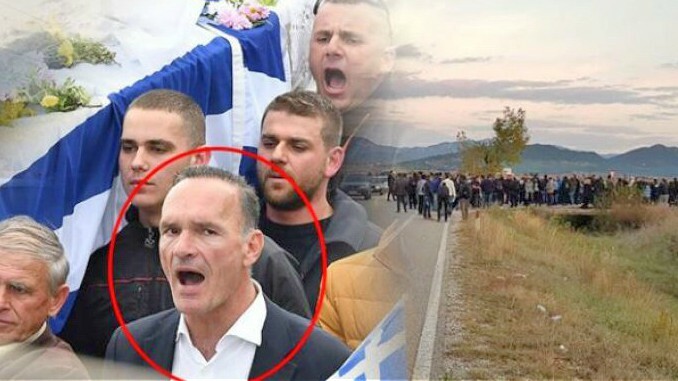 Bularat, Albania | 09 Nov 2018 (Tirana Echo) – 12 people have been arrested as crowds of Greek extreme nationalists crossed the border into southern Albania yesterday chanting racist and anti-Albanian slogans during the funeral of a Greek minority gunman shot dead by Albanian Police 12 days ago. What was to be the funeral of an extreme and mentally disturbed gunman shot dead by Albania’s special forces after opening fire on them, turned into a manifestation of radical right wing Greek nationalists, with dozens of them crossing the border into Albania, some of them illegally, during early hours of the morning. According to Albanian media reporting, several of them belong to the radical right-wing political group Golden Dawn in Greece and around 46 people known to police records were turned back into Greece for fear of inciting radical conflicts in Albanian territory. However, during the highly tense mortal ceremony, hundreds of radicals holding Greek flags marched through Bularat chanting “Bularat is Greece”, “Vorio-Epirus Greek land”, “We shall return and the land will tremble”, “Albanians get out of here”, “Macedonia is Greek” and “Vorio-Epirus will regain its freedom” – slogans which deeply disturbed Albania’s public opinion. Apart from Kacifa’s family and friends, the funeral was also attended by PBDNJ party leader Vangjel Dule and LSI party MP Vangjel Tavo, both belonging to Albania’s ethnic Greek minority population. The funeral was also attended by radical Greek Cypriot member of the European parliament Eleni Theocharous, whose presence was seen by many in Albania as inciting racial and ethnic hatred on Albanian territory. “A terrorist is buried ceremonially the same as they do with the Mafia or international terrorists. A mortal ceremony which started as heroic and ended as ridiculous. Pity on them. The Greek state is in crisis and comes here to provoke Albanians,” said Spartak Ngjela, prominent legal expert and political commentator. 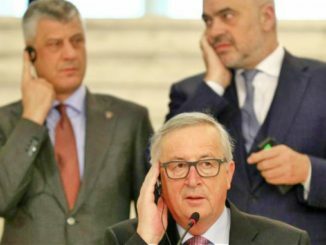 Albania’s authorities decided to stay away from the gathering however the country’s police arrested 12 people who were later released in the early hours of the morning. Both Tirana and Athens have reacted in reconciliatory tones, trying to tone down the incident which has upset people on both sides of the border. 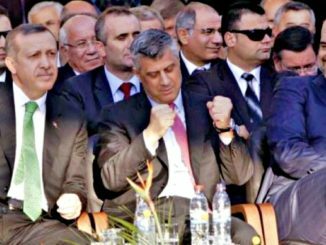 Following the highly tense ceremony, Albania’s prime minister Edi Rama tweeted: “Dear neighbours! Instead of calling the death of a mentally deranged person who shot against our police doing its job as unacceptable, join us in thanking God that no innocent lives were lost today from the folly of extremism”. Greek prime Minister Aleksis Tsipras said during a televised interview that “today was a day of mourning for the family and minority members. 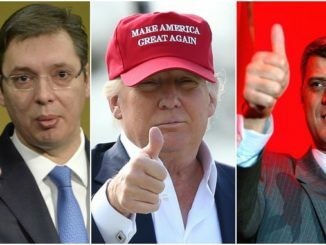 I can only say that Greece did the right thing in handling the issue with the Albanian government. We demanded immediate transparency and one of our police force is there to follow further investigation. The dialogue will continue and this should not affect our rapprochement with Albania”. Konstantinos Kacifa (Katsifas), 35, was shot dead by Albania’s police special forces on Sunday the 28th October after he opened fire against officers with a Kalashnikov assault rifle. The incident took place as ethnic Greeks were marking the anniversary of the Greco-Italian war at the cemetery of Greek soldiers in the village of Bularat in southern Albania. The area is inhabited by many ethnic Greeks who are fully integrated into Albanian society and are renowned for their prominent figures in the country’s business and political spheres. Kacifa’s terrorising firing incident inside the village and later evading arrest and shooting at Albania’s police, mark an unusual event in what is seen as a harmonious inter-ethnic country in south-east Europe. 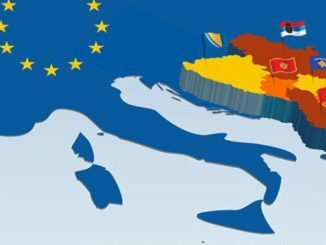 Nationalist Greek networks have attempted at several occasions to provoke tensions in Greek speaking areas in southern Albania, with many radicals referring to the south of Albania as ‘Vorio-Epirus’ or Nothern Epirus which has territorial connotations. However, the Greek minority of Albania which numbers around 60,000 people, is extremely well integrated and a key contributor to Albania’s economy and political life.